Authors who are chasing a traditional publishing deal often consider writing a query letter to be one of their hardest tasks. Writers who are self-publishing their books don’t have to worry about writing a query letter…but they still have to write the summary for the back cover of their books—and that can be just as hard! Good back cover copy gives readers a taste of what your book is about in an appealing, intriguing way. And it’s vital that you draw readers in and make them want more—their reactions to your back cover blurb will determine whether or not they buy your book. 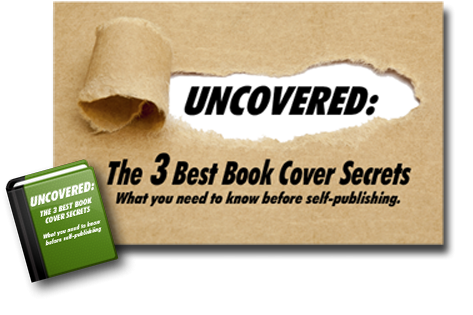 Here are a few fundamentals to consider when tailoring your back cover copy. Keep it short. Your back cover blurb should not exceed 150 words. After spending months (or years) and thousands of words writing your book, it may seem impossible to condense all the great plot points and characters into a mere 150 words. But buyers will make a decision about your book in just seconds. You don’t want potential readers to get so bogged down by details that they get bored and move on to someone else’s book. Condense the plot to one major arc (any subplots and twists should be left as surprises for readers to find) and introduce only the main characters so readers get an overview of your book’s story. Tantalize readers with an emotional appeal. Play up the emotional aspects of your story as much as possible. What’s at stake for your characters? Why should readers care about them? Give readers a reason to connect with your characters and story. And never (ever!) give away the ending in your back cover book blurb. People will be much less inclined to read your self-published book if they can find out the entire plot from the back cover. Having an irresistible cliffhanger in your blurb will make readers want to buy your book to find out what happens. Don’t pull a “bait and switch” on your audience. If readers expect one type of story based on your back cover copy but actually find something else entirely within the book’s pages, they’ll feel tricked and misled. A good blurb reflects the tropes of your genre. A dark murder mystery for adults shouldn’t have a blurb filled with the corny puns one expects to find on a comedic book aimed at middle schoolers. And a blurb that promises fast-paced action and gun-slinging adventure shouldn’t turn out to be a steamy romance. Likewise, if your book is set in a run-of-the-mill suburb, you don’t need to introduce the setting—but a complex and futuristic fantasy world should definitely be mentioned in the back cover blurb. Proofread, proofread, proofread. Your back cover copy is your most powerful point-of-purchase sales pitch. Proofread your summary, and then have another editor check it over for errors. If you’re finding it difficult to compose the perfect back cover blurb, consider hiring a service—one that understands writers and gives individual attention to every story—to do it for you. Whichever path you choose, following these helpful tips will ensure your back cover copy is perfectly suited to selling your book—before readers even crack the cover! QUESTION: Do you have any tips to offer self-published authors trying to write the back cover or jacket copy for their book?